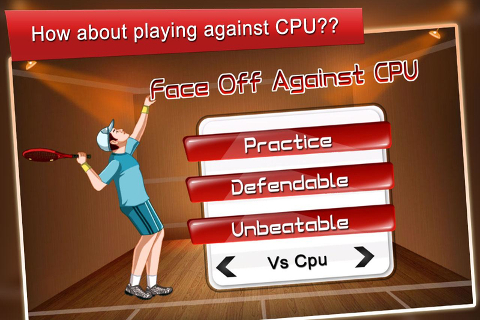 Want to have ultimate Squash experience against CPU?? Then play the popular indoor racket sport game: Squash champ and prove your sports skills in squash game by hitting ball against the wall in attempt to make your opponent miss rebound. 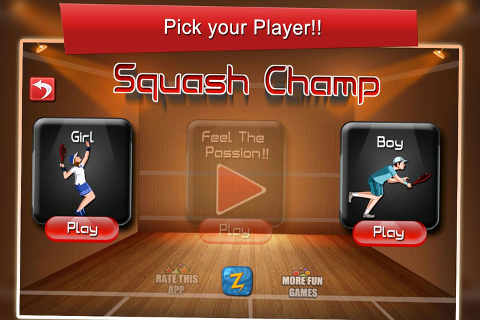 Squash Champ is simple & ultimate mobile sports experience and addictive sports game based on realistic physics. 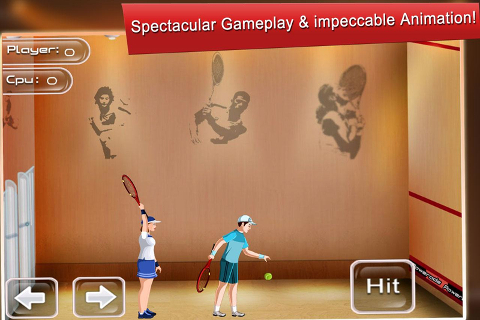 Grab your racket in your own virtual four walled squash court or sports court and choose a partner. You can even practice playing squash even if you don't want to play against partner. You can experience all the main strokes, strategies, and exercises like a professional sports player who plays in Worlds Sports Championships (timed matches) in summer games and can improve your stamina and sports technique in no time without having any Multimedia Squash Training Course. It offers bigger sports challenge with fast and fluid gameplay and a huge range of unique player styles and characteristics.